Take the Nature Photography Meditation Challenge for Nature Photography Day - The Daily Unwind | Breathe. Love. Unplug. Your daily dose of stress-relieving, self-loving, technology-unplugging, and beauty-appreciating inspiration. It's Nature Photography Day! I challenge you, as a part of your unwind routine tonight, to find a picture in nature that encapsulates exactly what you love to see when you're outside. Maybe it's a picture you took right outside your window. Maybe it's a picture from a beautiful landscape you visited on a memorable vacation. Maybe it's a shot of a scene you've never seen in real life, but it's the stuff you dream of. The shot above is my pick for this challenge (Photo credit: Aaron Burden). My favorite season is absolutely spring. I wait so impatiently for the first hint of green and blossoms to come back after a cold, dark winter. 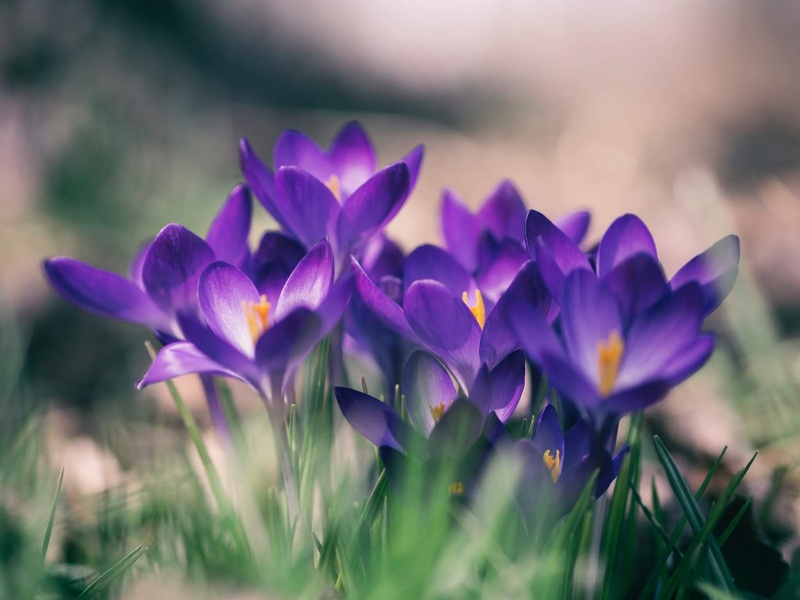 Crocuses are the first flowers to pop up, usually in February for us, and they usher in all my hopes and dreams for a glorious spring around the corner. 1. Choose your nature photo. 2. Sit somewhere comfy and quiet. 5. Imagine what you'd hear if you were sitting in that scene. 6. Imagine what you'd smell. 7. Imagine what the temperature of the scene would feel like to you. 8. Imagine you could sit in that scene as long as you wanted with no interruptions. Comment below and tell about the picture you chose for your Nature Photography Meditation Challenge! Hi, I’m Sonja Ciotti, a nature-loving author, wife, and mama. How do I unwind? When not exploring the great outdoors, I can often be found in my other natural habitat (Pinterest) collecting everything beautiful. I want to share that collection with you along with tips to get inspired, get some self-love, and get off of here (and go live simply, slowly, and unplugged). © 2018 The Daily Unwind | Breathe. Love. Unplug.. Designed by Themeswear .